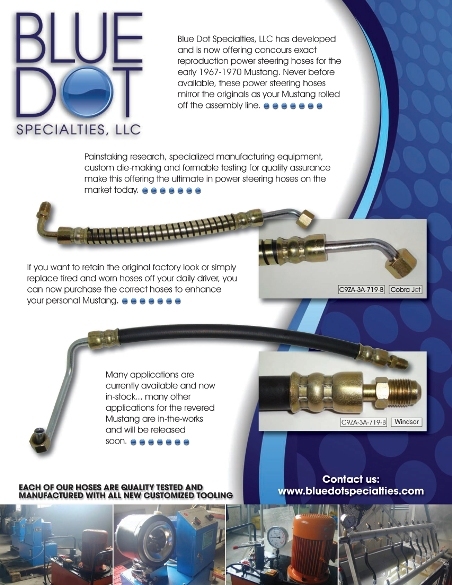 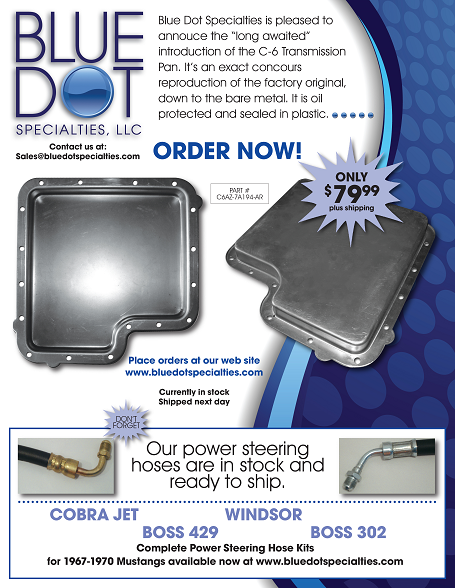 Blue Dot Specialties, LLC has developed and is now offering concours exact reproduction power steering hoses for the early 1967-1970 Mustang. 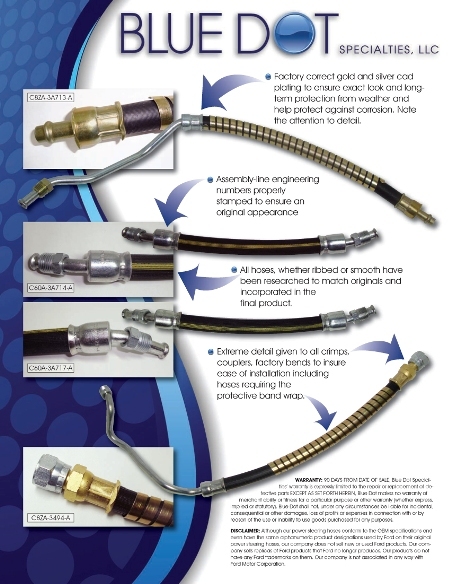 Never before available, these power steering hoses mirror the originals as your Mustang rolled off the assembly line. 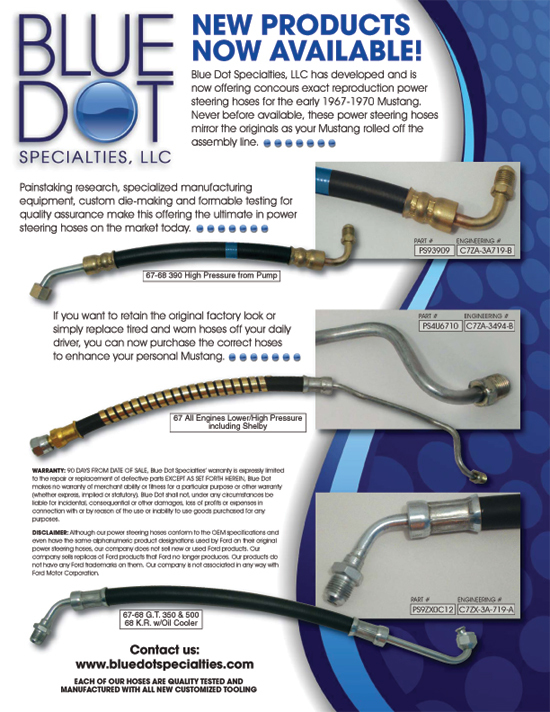 If you want to retain the original factory look or simply replace tired and worn hoses off your daily driver, you can now purchase the correct hoses to enhance your personal Mustang.